A perfect gift for a first wedding anniversary, traditionally represented by paper. 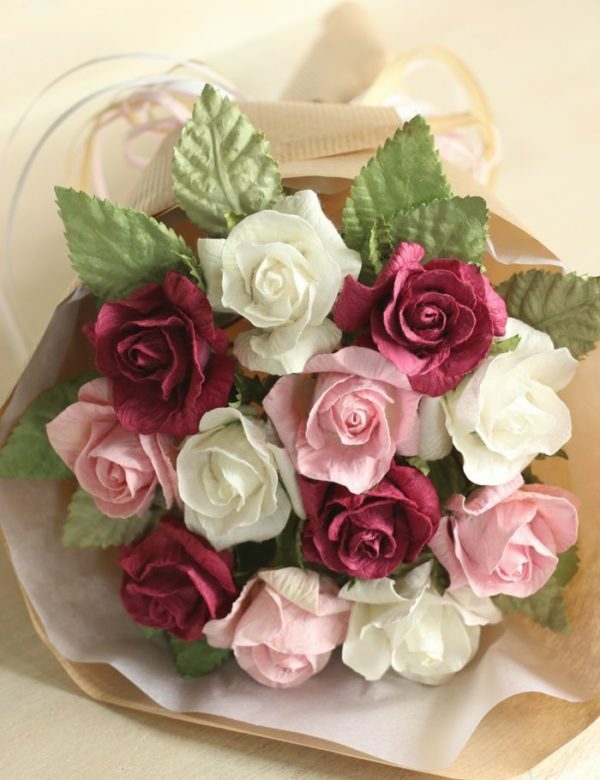 12 beautifully hand crafted ivory, pale pink and dark pink paper roses wrapped as a bouquet and tied with raffia. 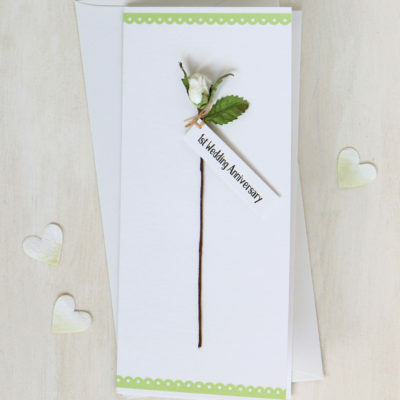 A perfect first wedding anniversary gift, traditionally represented by paper. 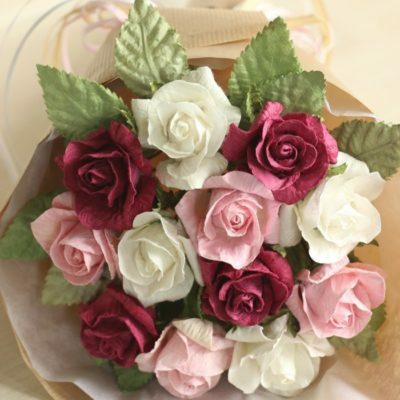 12 beautifully hand crafted ivory, pale pink and dark pink paper roses wrapped as a bouquet and tied with raffia. 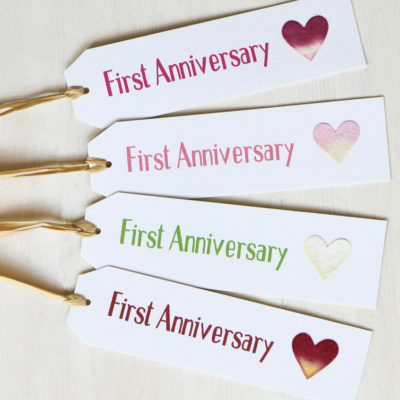 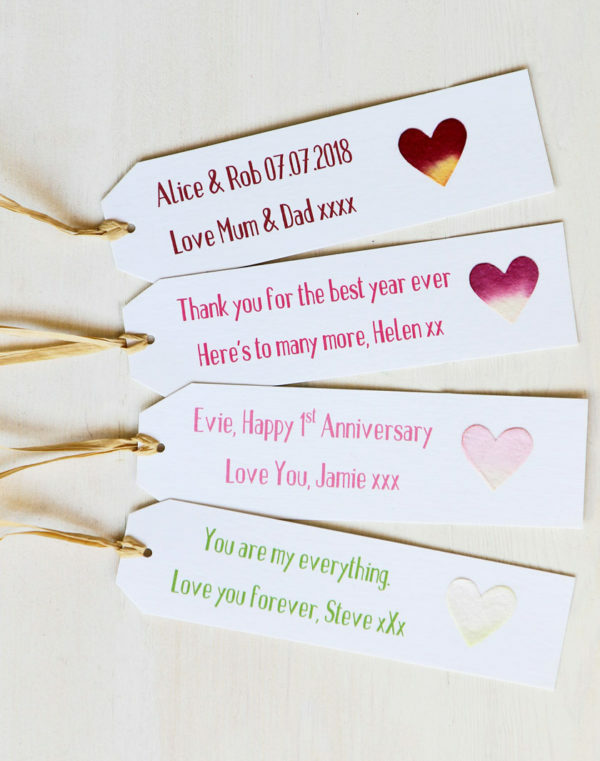 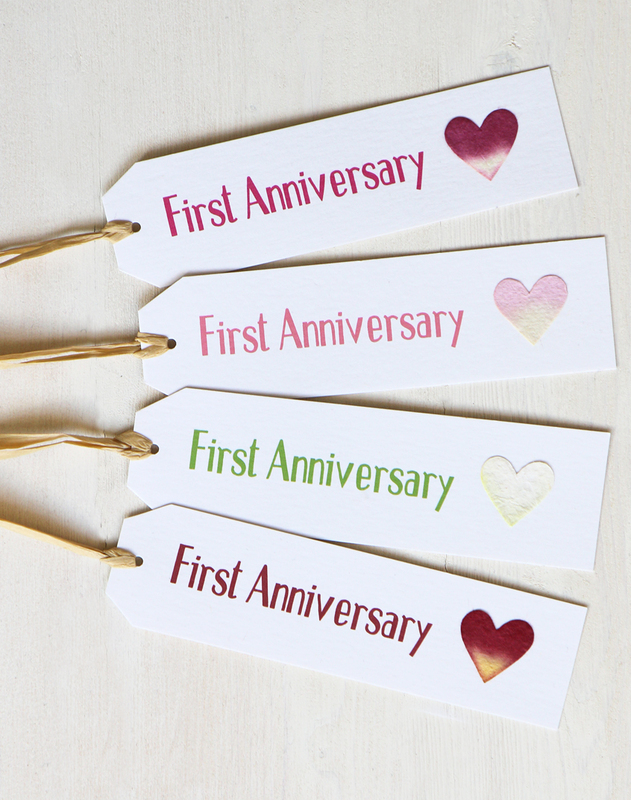 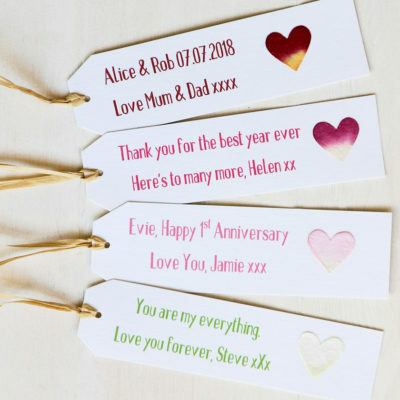 A gift tag can be added reading ‘first anniversary’ or personalised with your own message. 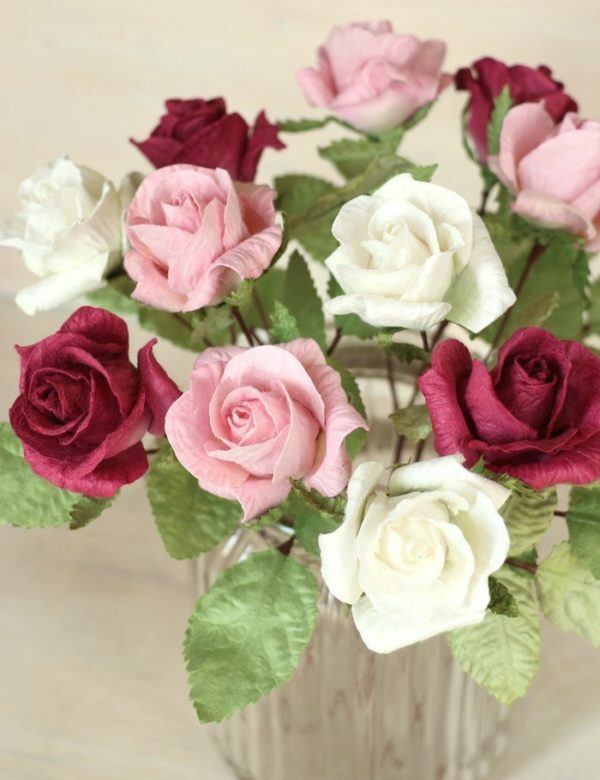 The roses are small to medium in size, flower diameter 5cm, stem length 33cm. 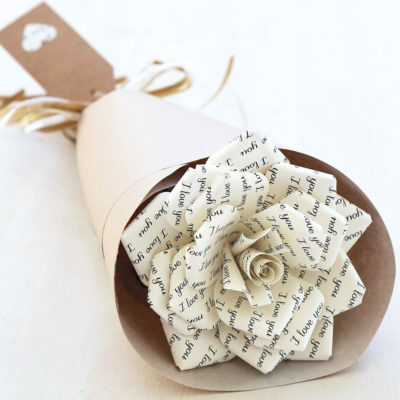 Hand crafted from saa paper which is a sustainable resource. 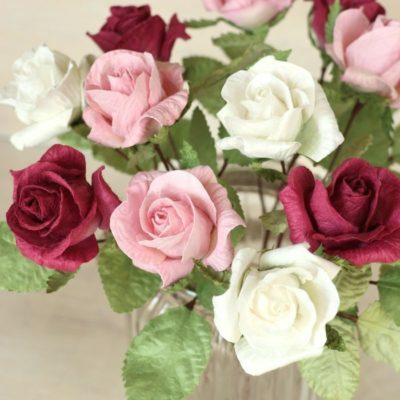 I am so pleased with the roses, they are extremely well made and high quality. 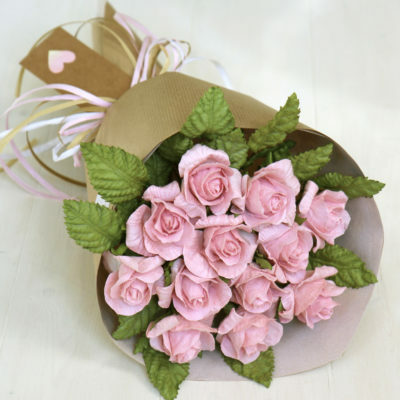 Even the delivery packaging was superb. 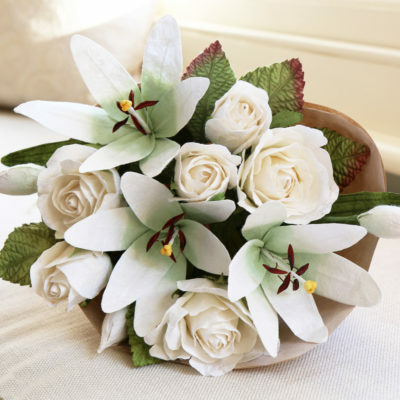 I was absolutely delighted with the flowers which I had ordered for my daughter and son in law for their first wedding anniversary. I am sure they will be too.